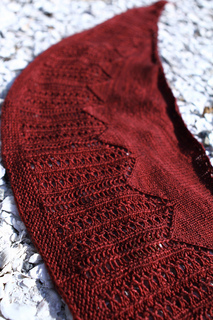 A beautiful balance of stockinette, lace and texture come together to create Meira, a crescent shaped shawl knit in a versatile, sport weight yarn. 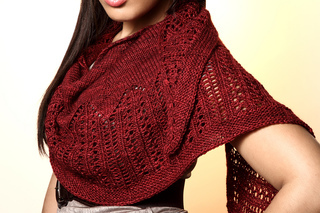 This piece will be easily worn throughout the year, no matter the season! 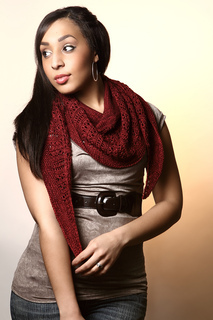 Its generous wingspan wraps gracefully around its wearer in a variety of ways, providing just enough warmth on a crisp Spring day, a cool Summer’s eve, or bundled under a coat during the Fall and Winter. Pattern includes both written and charted instruction. 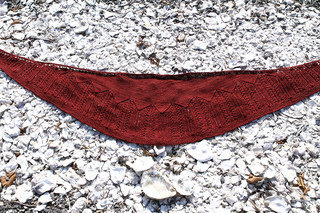 Measurements were taken after blocking. 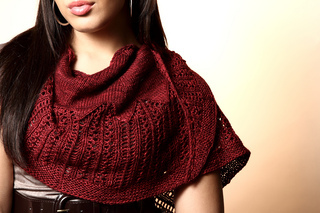 Getting exact gauge is not critical, but it will affect the final size and yardage needed for your shawl. 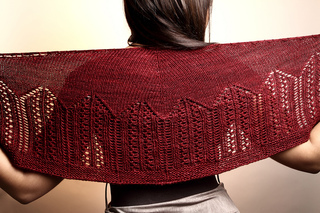 Final size is also dependent on how gently or aggressively you choose to block your shawl.